Committee has the ultimate decision. The congregation point is determined by the elected Skipper of the day in conjunction with the weighmaster There will be a BBQ at Clubhouse weigh-ins on Saturday competition days if sufficient numbers attend – a small fee may be levied to cover BBQ costs. Visitors are welcome to fish at any time, but competition entry is restricted to Club members. An angling entrance fee of $10 is levied for each competition. Angler’s points, based on the published ratings for each fish type, together with fish weights, are recorded on the Entry and Weigh in Forms for determination of winners. Point ratings, competition rules and entry forms are provided to each member and are available at the Clubhouse, at the nomination meetings and on the Web site. Sharks, Snapper and Elephant may be gutted before weighing. Fish must be in good condition and not frozen. When different fish species are caught on same day, members can only submit 1 species for competition points. Catches must be verified by another Club member as they are caught. Competitors are to record all fish submitted for measuring on their Entry and Weigh in Forms. Forms must be completed and handed to the Weighmaster prior to weigh-in. A single form can be used for one boat on which individuals are listed separately. Section 3 of the form is to be completed by the submitting competitor and witnessed by the Weighmaster at the Scales. The member then signs and surrenders the form to the Weighmaster. Club away fishing events scheduled as Club Competitions, appoint a weigh-in master and follow the same rules. Competitions will be cancelled when winds of over 20kph are forecast over the areas to be fished. All Club Boat enquiries should be directed to the Club Boat Captain either via email on boat@seatac.org.au or by completing the contact form below. is reiterated that it is the responsibility of the designated adult to look after their children’s safety and to provide them with appropriate lifejackets that must be worn at all times). For angling cancellations or nominations, contact the Chairman of the Angling Subcommittee or his listed Assistant. Members must be at the nominated meeting point 15 minutes prior to departure time. Times may be varied by the Chairman of Angling Committee or by the Captain. Keeping undersize fish or exceeding bag limits will result in disqualification from fish-off day with deliberate major regulation breaches to be dealt with by the full Committee. The boat must not be taken out when winds are forecast at more than 20 Knots. Pre-booking is required, either at a Club meeting or subsequently, from an Angling Sub-committee Member or, if this is not possible, from an authorized Committee Member. Passenger loading is a minimum of 2 and a maximum of 5. However, it is recommended that occupants are restricted to a maximum of 4, depending upon the overall weights. 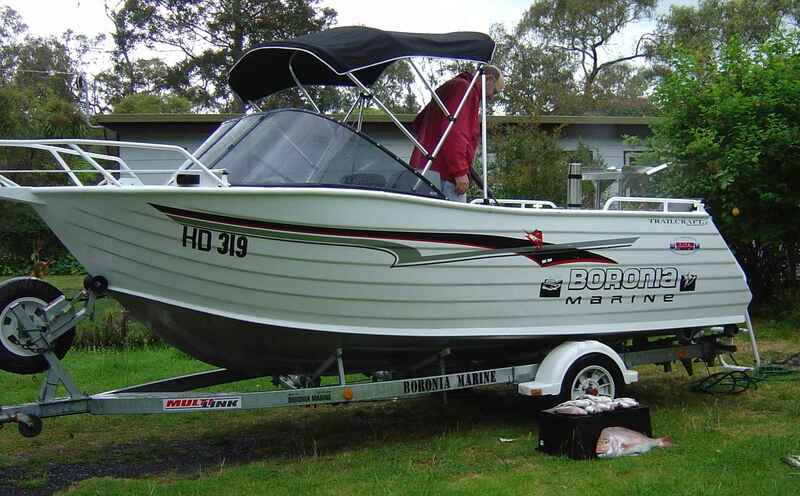 The boat is located at Yaringa Marina where it is registered as Boat Number M275. (refer to website for updates or contact member in charge of Boating). Yaringa Marina is at 1Lumeah Road, Somerville, 3912; Melways Map 149 K7, Phone 035977 4154. All Captains taking out club boat are required to purchase a $50.00 security access card from Yaringa boat harbour. This is fully refundable when no longer required (see Treasurer for refund). Captains are to ring Yaringa on 59774154 by 4 pm the day before and advise office that you require boat No. M275 to be launched at your required time. Captains are also to ask Yaringa staff to fill the boat with petrol. On arrival, the captain is to check that all safety equipment is in working order and that the 2 stroke oil tank on motor is at least half full. On returning, lift the motor and tell staff you require boat on hard stand for washing and flushing motor. Once finished, put on canopy and have a safe trip home. The Captain fills in trip sheets and delivers them to Neil Rayner at the next meeting .The Captain is to immediately inform the Boat Subcommittee on any maintenance, safety or breakdown issues. As a general rule, trip Captain’s are decided at the previous Club Meeting and confirmed by the Angling Sub-committee Chairman at that time. If you booked in but cannot attend the appropriate club Meeting, then contact the Chairman of the Angling Sub-committee, or his deputy for detailed information, including the Captain’s identity and specific requirements for the trip.